Mendelson's Memos: Review: Madagascar 3 (2012) is visually scrumptious and mostly clever all-ages fun that ably continues Hollywood's most Jewish animated franchise. 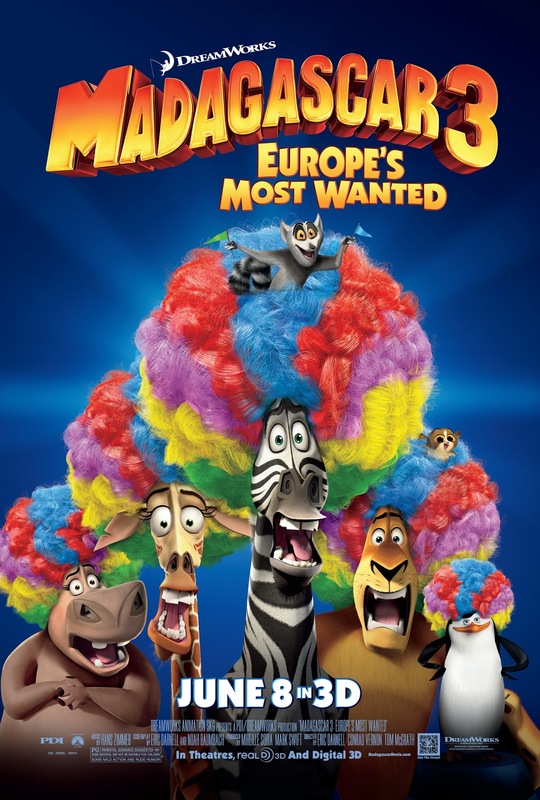 Review: Madagascar 3 (2012) is visually scrumptious and mostly clever all-ages fun that ably continues Hollywood's most Jewish animated franchise. Madagascar 3 is so substance-free that one almost feels the need to apologize for enjoying it. It tells a story that is almost thinner than the first film and certainly less introspective than the second film's family drama. And it rivals Back to the Future II for an almost complete lack of overt 'drama'. But it *is* completely enjoyable and again proves that the technical side of Dreamworks Animation doesn't do anything half-assed. It is a visually splendid adventure that continues the franchise's refreshingly small-scale storytelling. Come what may, the Madagascar series exists as a definitive 'western' animated series with a specifically Jewish sensibility. Once again the primary conflict is 'untamed wilderness versus civilization' while the primary character arcs involve our heroes dealing with their own neuroses. Yes there is an outside threat, but the primary battle once again lies within. In short, this third adventure finds our animal pals trying one last shot at getting back to their zoo habitat in New York City. On the run from obsessed animal hunter Captain Chantel DuBois (Frances McDormand), they all find themselves seeking sanctuary on a circus train. As luck would have it, said circus is on the verge of auditioning for a promoter who may bring their act through America. Can Alex and his pals get this downtrodden circus act in ship-shape in time for the big show? This is all pretty simple stuff, even as the subtext about living one's life in the present remains under the surface. What makes the picture pop are the visuals, as the film is once again a feast for the eyes. The film has an nonabrasive sense of humor and the film slows down quite a bit after the manic (but frankly terrific) first act. The addition of the villainous DuBois represents a trade-off of sorts. The film does indeed have a genuine antagonist this time around, but she is such a compelling and entertaining character that it's worth it. With a hall of mounted heads that suggests she hunts primarily in zoos and toy stores, and a penchant for singing lengthy french operas, DuBois is arguably more fun than the heroes she is intent on killing. And her primary appearance involves a blow-out chase through Monte Carlo that is one of the best action scenes you'll see all year (it brings to mind the Terminator franchise without being explicit about it). The other new characters are basically the circus performers. Vitally the Tiger (Bryan Cranston) is the once star performer who had a crisis in faith following an on-stage accident, while Stefano the Sea Lion (Martin Short) just wants to try the human cannonball trick. Jessica Chastain voices Gia, a female jaguar who alas primarily serves as a love interest for Ben Stiller's Alex. The already formed union between Melman the Giraffe (David Schwimmer) and Gloria the Hippo (Jada Pinkett Smith) is not forgotten as they get a surprisingly sweet moment or two on a literal tight-rope. The penguins have more screen-time in this film that ever before, but they are integrated into the story in a fashion that feels natural (they have alas completely lost their proverbial edge and are surprisingly selfless). I wish the monkeys had more to do this time around, but that's my problem. The circus setting provides ample opportunities for high-flying set-pieces and the film does not disappoint. Even in perfectly-satisfactory 2D the film provides a number of fantastic beats where Alex, Marty, and company zoom in all conceivable directions. Like the third Ice Age, this picture sometimes resembles an amusement park ride more than a feature film, but it succeeds on both terms. Dreamworks may not have the artistic reputation of Pixar, but they do these kind of high-quality cotton candy animated films better than any other studio. When Pixar tries to go light we get Cars 2, but Dreamworks has slowly mastered the art of high quality mainstream cartoons that don't need high drama to be high impact. I can only hope that abominations like A Shark Tale are a thing of the past. Even when they are churning out what could theoretically be a cheap cash-in, they do their damnedest to make sure the thing looks and sounds gorgeous (judging by the 2D images, I imagine that the 3D is spectacular). It's not high art, but I don't expect every Dreamworks film to be as good as Kung Fu Panda 2 or How to Train Your Dragon anymore than I expect every Pixar film to be as good as Up. It's a visual feast and pretty funny when it counts, with a still-refreshing emphasis on small-scale personal issues versus savior fantasies or overt good vs. evil melodramas. 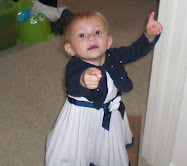 If Kung Fu Panda 2 is a Ruth Chris steak, Puss In Boots is a Black Angus filet, and Monsters Vs. Aliens is a Sizzlers flat-iron, then Madagascar 3 is an Applebees sirloin - you know it's not a good cut of meat but it's well-cooked and flavorful as all heck so you only feel a little guilty afterward.